Aluminum is widely used metal as facade cladding material thanks to its design qualities and technical properties. Aluminum is durable, recyclable, lightweight metal with long service life. It does not easily ignite. 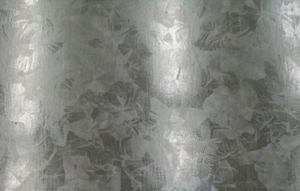 It has attractive natural silver to grey appearance. Steel as exterior facade cladding material has many practical benefits. It is easy to maintain, durable and long lasting, it has low thermal expansion. 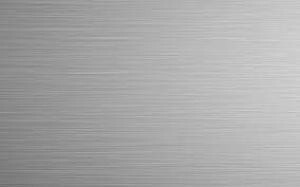 Stainless steel is commonly used material for interior and exterior wall cladding. It creates industrial and minimalistic style.Stainless steel has a variety of possible textured surfaces, also colored finish. 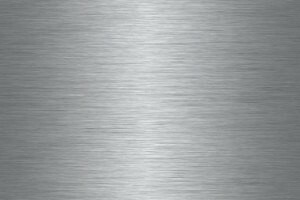 Stainless steel is durable and resistant to environmental factors – corrosion, stains and rust. Its polish and shine can easily be maintained for decades. It has self repairing property due to chromium rich oxide layer. 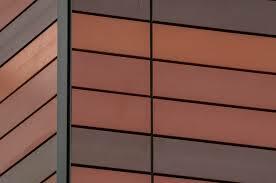 Corten or weathered effect steel has become more popular as facade cladding material due to its striking effect. The material has protective layer with anti-corrosive properties. At first, the protective layer is a reddish brown, but gains a darker hue with time. Exposed to environmental influence its texture becomes more interesting. The name corten is derived from corrosion resistant and tensile strength. Copper is a beautiful, durable and long lasting corrosion resistant material , which is malleable and ductile in processing. It has a long lifecycle – copper facades can last over hundred of years. 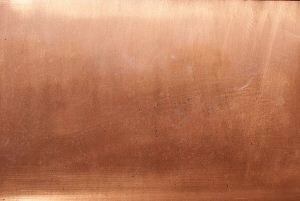 Freshly exposed copper surface has a reddish-orange color, but it develops an oxide layer, or green patina, when exposed to water . It might have a variety of colours and weathering effects. It is low maintenance recyclable material. Aluzinc is corrosion resistant, recyclable and environment friendly material that meets various architectural demands and is widely used for exterior cladding. 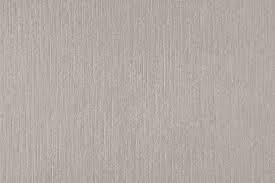 It is extremely durable and low maintenance facade cladding material with long life span. Metal sheets can be processed - perforated or expanded. 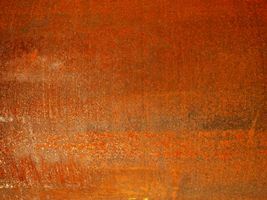 Metals sheets can be powderpainted in any of RAL colors. Expanded metal is produced from solid metal sheets - galvanized steel, stainless steel, aluminum, coppers and other metals. In production process metal is slit and strecched at the same time. It results in diamond shaped holes of uniform size and shape. 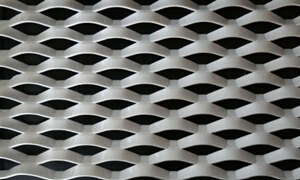 Expanded metal mesh shows a high weight to strength ratio. 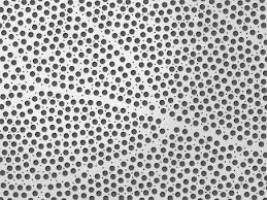 In manufacturing process metal sheets can be perforated in different hole shapes and patterns, sizes. 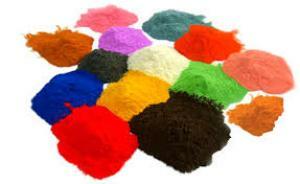 It is widely used for architectural applications as building elements and facade cladding materials. Perforated metal sheets combine aesthetical properties and functionality. It gives buildings unique, custom - designed look. 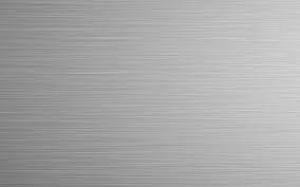 Aluminum can be anodized by adding a layer of oxidation that enhances the properties of aluminum. It adds protective layer and becomes resistant and durable, also it increases the corrosion resistance. It also gives facade cladding sheets an attractive finish. 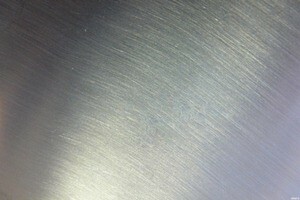 The surface of anodized aluminum becomes very strong, much stronger than aluminum itself. Hot dip galvanized steel has pure zinc coating that effectively protects steel against corrosion. During galvanization process steel panels are dipped into molten zinc. Hot dip galvanized steel facade plates have no maintenance costs and have grey aesthetically pleasing and consistent appearance. Galvanized steel facade contrasts well with wood and glass. It can last up to 75 years and more. Aluminum composite consists of two aluminum sheets and mineral filling. Aluminum composite is low - weight, weather proof material with high rigidity. Can be easily bent or folded. Aluminum composite panels can be also anodized or powdercoated. 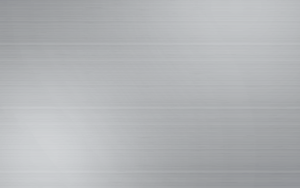 Stainless steel composite consists of mineral filled core and two sheets of stainless steel. Advantages of this material is fire - safety, corrosion resistancy, great flatness, light weight. Main disadvanatage - low machinabilty of steel composite. Copper composite - cost - effective , light weight composite material with a variety of possibilties of colors and patterns available. Fiber cement is a composite material made of cement, sand and cellulose fibers. Fiber cement sheet products have low thermal resistance and sound transmission. Basic cementboard is grey, but it can be coated with paint finish in different colors. It is frost - resistant waterproof and UV resistant. Ceramic tiles are high quality, durable,froze- resistant cladding material. It is a popular choice among architects due to endless design possibilities – a wide selection of colors and surfaces is available. Ceramic tiles cladding resist well changes in temperature and environmental factors such as pollution and acid rain. HPL facade panels are often used as cladding material for ventilated facades. 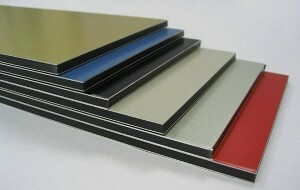 HPL is durable, high quality cladding material , having unique surfaces and a variety of colors. 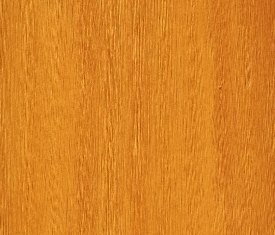 High pressure laminate is high density laminated timber panel. HPL is often used as alternative to natural wood or stone. It is low maintenance non-porous material -resistant to moisture and scratches. Natural stone is durable and prestigious facade cladding material. It is environmentally friendly building material due to its recyclability and long service life. 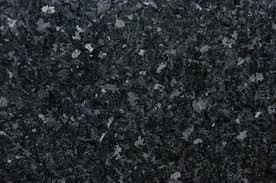 Granite and limestone are most often used natural stone in facade cladding.